Today, due to its high capacity, only the wet mix method is used in tunnels for which MEYCO robotic equipment is ideally suited. All of this is good news for miners and construction engineers. Not just because of the key role played by shotcrete in helping to keep rock walls in place after excavation and structures in their planned position, but because it can now meet demands for tailor- made solutions. This is certainly true of applications where sprayed concrete must live up to stringent requirements for high quality, durability, resistance to water ingress, low risk to health as well as low negative impact on the environment. A great many parameters are taken into account when matching shotcrete to differen­t applications. These include sand/aggregate grading, cement type and amount, hydration control of admixtures, type of plastiscizers/superplasticizers, workability, accelerator type, temperature, pulsation, nozzle systems, to name a few. These days, wet mix is now used exclusively in tunneling thanks to its high capacity. 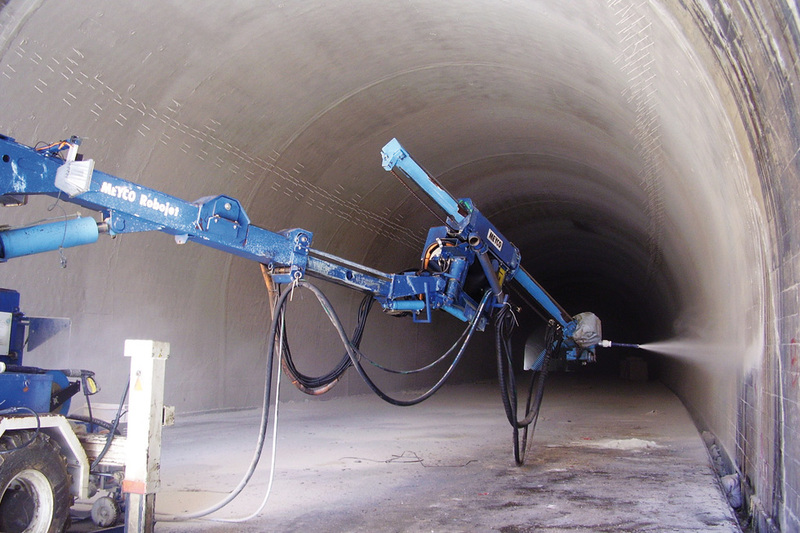 On large tunnel profiles such as highway tunnels, up to 24 m3/h of wet mix can be sprayed, whereas the dry mix method would only give a maximum of 10 m3/h. In this context, MEYCO equipment is extremely economical. Due to a patented control system on the concrete pumps, it gives less waste material, known as “rebound”, and uses less chemical accelerator thanks to highly accurate dosing system­s. Moreover, robotic units keep operators out of danger zones and ensure optimal spraying parameters such as distance of spraying nozzle to rock strata and a consistent spraying angle of 90 degrees, which reduce rebound and give full coverage of rock strata. Robotic equipment also lessens the dependency on skilled operators. It is true to say that shotcreting is a scienc­e in its own right and an indispensable element of modern rock support technology in all subsurface construction. 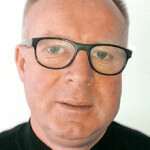 However, the technology is far from complete and the drives to develop new innovations in this field are intensifying. In the future, leading shotcrete specialists, including Atlas Copco MEYCO, will develop new methods and products to further increase functionality, performance and safety. I believe their success will have a major impact as mines go deeper and tunnels are increasingly driven through weaker rock strata and in increasing length. Tom Kurth is Marketing Manager at Atlas Copco MEYCO, the international shotcrete equipment specialist, based in Winterthur, Switzerland. 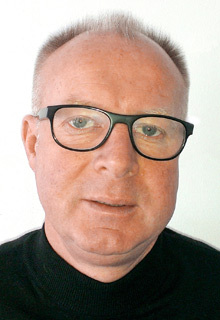 He has more than 20 years of experience working with shotcreting technology and application machinery.